e.l.f. 48 Piece Beauty Book Eye Makeup Palette Only $8 + FREE Shipping! You are here: Home / Great Deals / Amazon Deals / e.l.f. 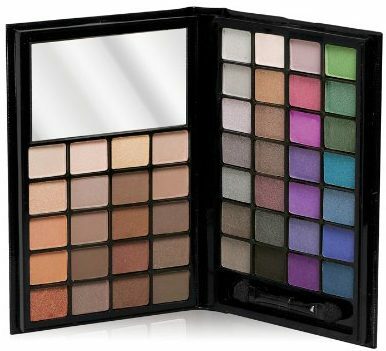 48 Piece Beauty Book Eye Makeup Palette Only $8 + FREE Shipping! Who wants a deal on makeup?! Grab this e.l.f. 48 Piece Beauty Book Eye Makeup Palette for just $8 + FREE shipping! That makes each color just $0.16 each! I am obsessed with eye shadow, and I love this palette because it has SO many colors – something for virtually every outfit! And, at this price, you can treat yourself without the guilt or grab a fabulous gift for someone!